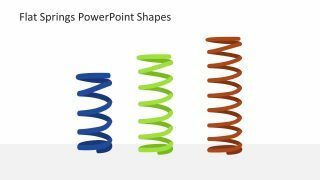 The Flat Springs PowerPoint Shapes are the 3D spiral designs to present various processes and their inter-dependencies. 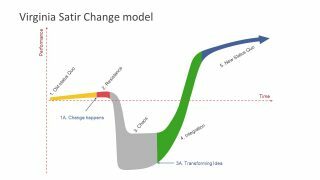 These slides are the professional design templates which also represent powerful symbol for change and recurring processes. 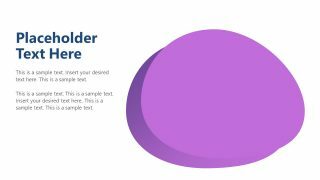 The 3-slide presentation template five, seven and nine ring vertical spiral diagram. Although, the effective management of business processes require demonstrating the valuable information. Here, the graphic illustration of springs shows the process flow management in an interactive visual format. 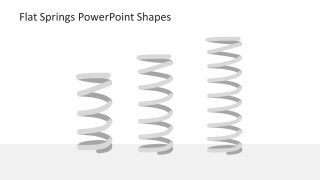 The PowerPoint shapes of spring aids in displaying the content of presentation with the overall impact on development processes. 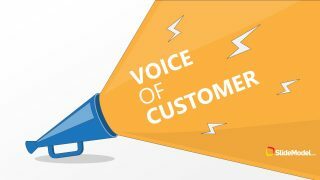 For instance, use the colorful spring clipart shapes explain the detail processes of product development, targeting customers and more. The slides of Springs PowerPoint Shapes are the useful clipart designs for professionals of every industry. They can mold the editable shapes to fit in their main presentation and topics of business process flow. 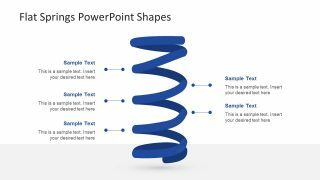 Moreover, the 100% customizable PowerPoint template of spiral spring shapes assists with various presentation designs. For example, changing the colors, size, rotation and other shapes effects. Further, they can select the desire components to use in another presentation. Also, it is suitable to present the nodes and stages of a concept diagram. 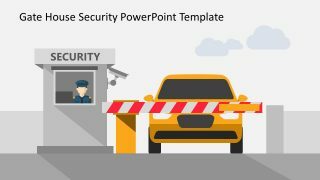 The spiral slides of springs shape PowerPoint template can present the risk processes using the outstanding graphics. The development methodologies such as incremental and evolutionary prototyping can also use spring shapes to explain processes. The template has an interesting slide of flat spring shape and incredible 3D effect. The slide also has 5 nodes to represent the segments. Whereas, the text placeholders have title and description area. The users can change the font and style of the text, as well as the position of placeholders by simple drag and drop. Similarly, change the color of clipart images from the shape fill option for drawing format.